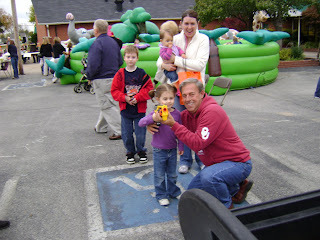 Avery playing a game where you try to shoot the target with suction cup darts. 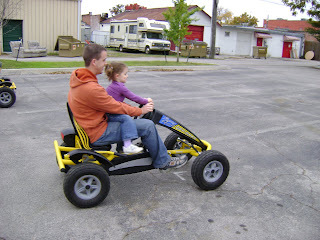 I'm not really sure what this was but kind of like a go cart that you pedal. I think Craig liked it more than Avery! 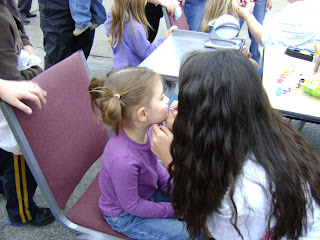 First time to have her face painted. It was a cute rainbow but she had it gone even before bathtime! 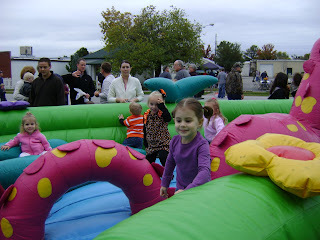 Last weekend, our church had their Fall Festival. 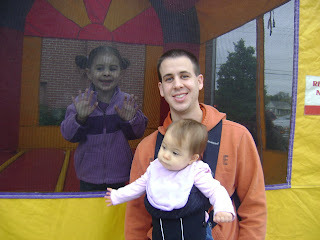 The inflatables are always Avery's favorites but I did manage to get her to play some games as well. She had a lot of fun and enjoyed racking up some yummy candy, too!